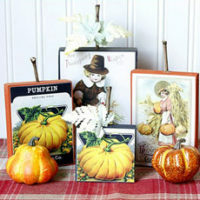 Today I’m sharing a Tutorial for a fun Thanksgiving Project! 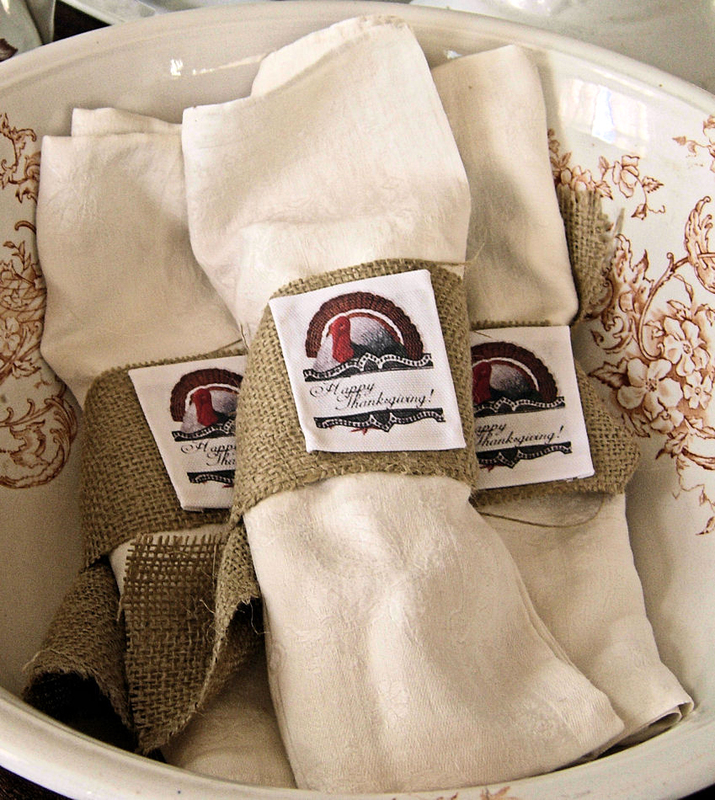 These are some No Sew Fabric Place Cards that double as Thanksgiving Napkin Rings. So you get 2 for the price of 1! I love quick and easy projects… don’t you? If you’re finding this post right before Thanksgiving, then no worries as you can make these in a jiff and I’ve included a free Printable to make it even easier. Of course you could apply the same technique, and use different designs, for any holiday or occasion as well. I think you will also love working with the PhotoFabric product. If you’re looking for the original Turkey Image that I used in this project you can find him HERE. 1) Burlap Fabric – I got mine at Walmart, but most garden centers should have it. 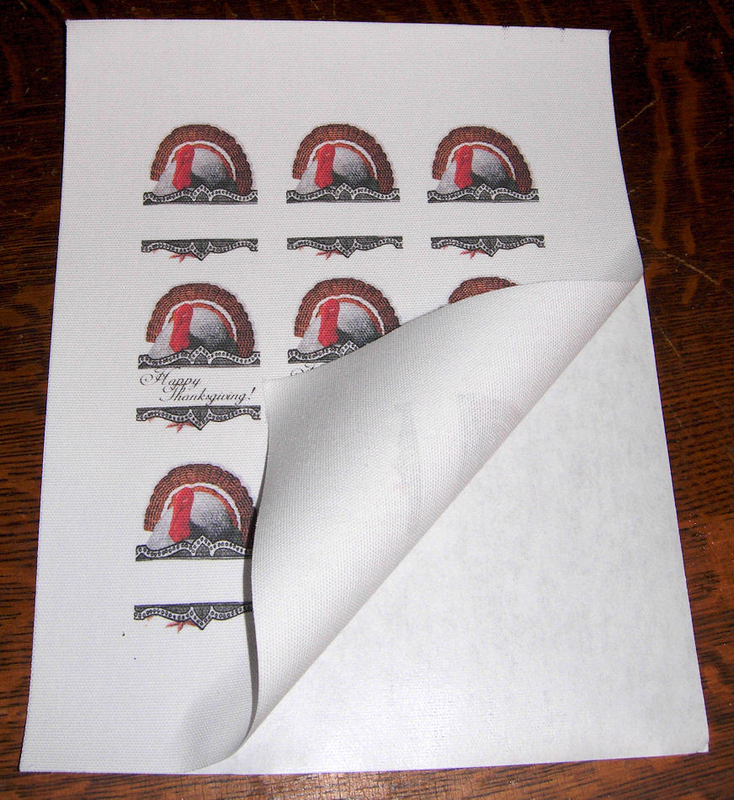 4) Sharpie – If desired for personalizing blank labels. 1)First print the PDF found HERE onto the Photofabric. I love this product it works really well and I was quite pleased with the quality of images on it, they were nice and clear and the colors came out bright and pretty! 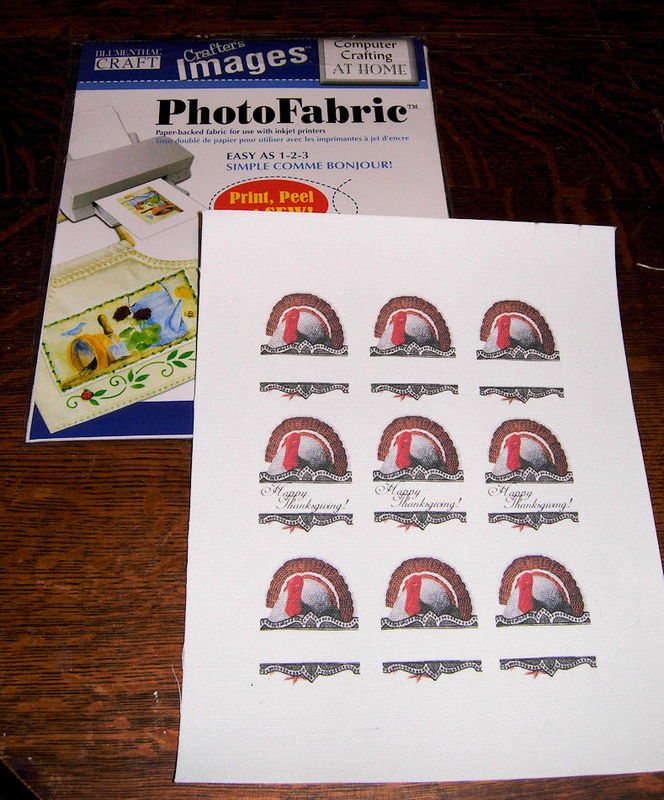 2)After the ink is completely dry, then peel the backing from the fabric and cut out your images. 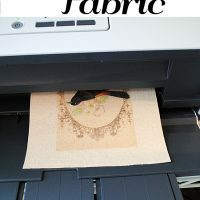 Leave a little extra fabric around each image so that you can turn it under. 3)At this point if you want to customize the blank versions with your family members names, you can write them in with a Sharpie pen or marker. 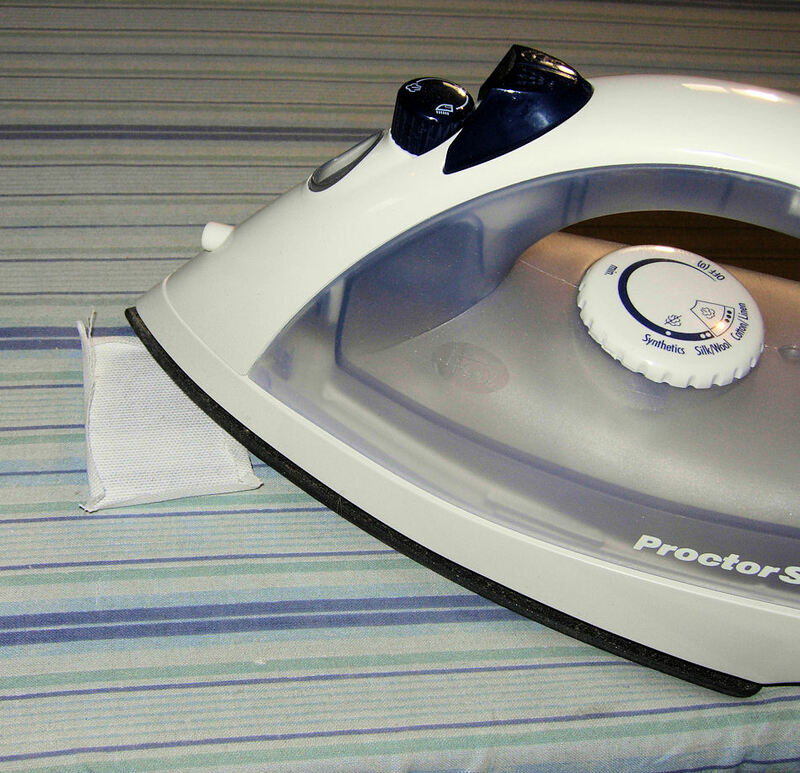 4) Next, use your iron to iron out a little hem around the images in order to make the edges even. 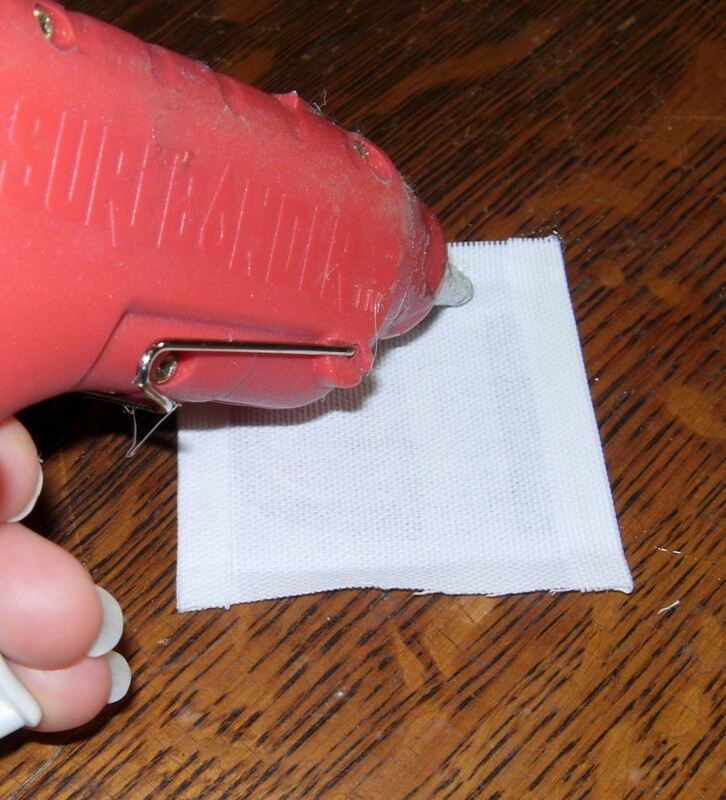 5) Use a Glue gun (or you can sew them if you would rather) and glue down each of the edges. 6) Cut as many burlap strips as you need. I cut mine about 19″ by 3″. I wanted mine to have a rustic look so I just left the edges of the burlap raw and let them fray a bit. 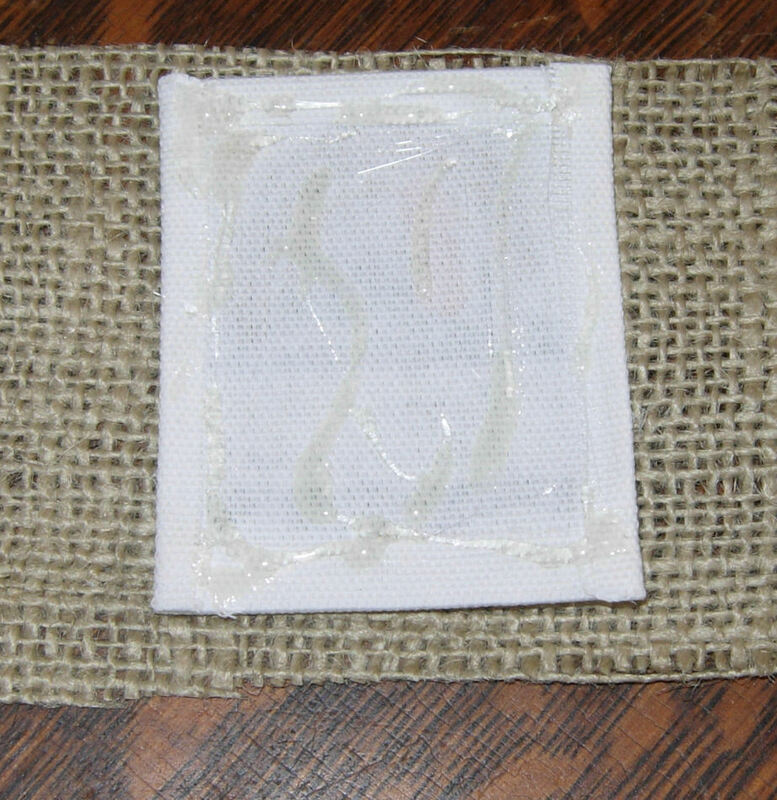 7) Hot glue your printed appliques (or sew them) to the center of the burlap strips. 8)Now you are all done! Now just tie the burlap around your napkins and you are all set. You can either display them in a big bowl or basket and let each guest grab one or you can place them right on the individual table settings. 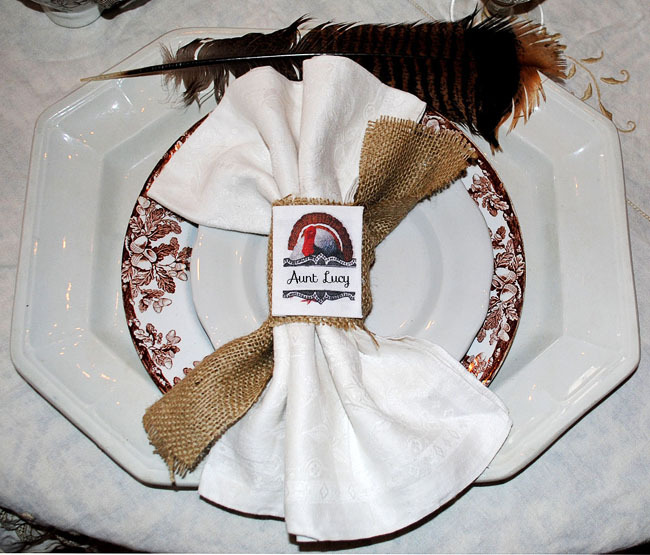 I hope you enjoyed this quick and easy Thanksgiving Napkin, and or Place Card, project! 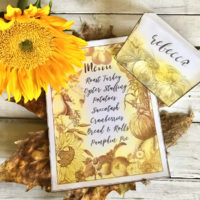 You might also like another Thanksgiving themed project from HERE, where you can learn how to make some cute Vintage Thanksgiving signs to decorate your table or buffet with! Very cute, Karen! I haven’t tried photo fabric yet, need to find some! Thanks Sheila!! I love how easy it is!! Go for it Christina 🙂 Happy Thanksgiving!